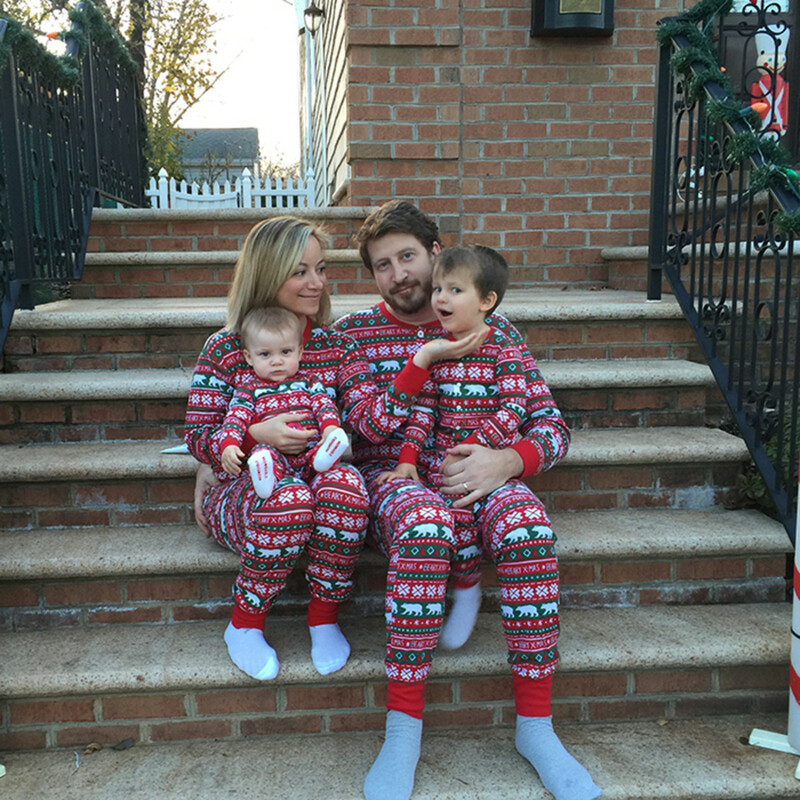 I’m pretty sure my mom invented the concept of "Xmas jammies." 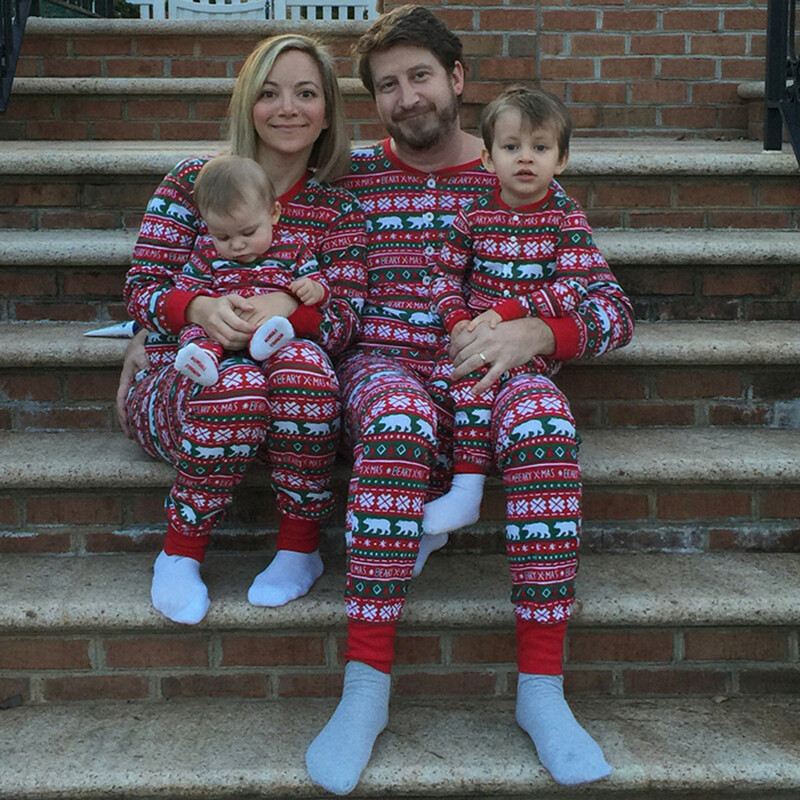 Long before the Holderness family danced their silly PJ-clad selves into Internet super-stardom, my mama painstakingly assembled, styled, and wrapped Christmas Eve sleep sets for the entire family... Every year. From the time I was in diapers. Back in the ’80s. Long before YouTube even existed. It was her "thing"… still is! Yep, to this day, my mom gives the whole fam a new sleepwear set every year. The sillier, the better. The more embarrassing, the more she beams. They usually involve ridiculous hats and silly socks. One time—I kid you not—she got me and my sister super-inappropriate matching pairs from Victoria’s Secret. We were horrified, but then she handed us each a second package which contained white thermals. (She actually expected us to wear the risque pair OVER the long underwear.) Rest assured, we drew our line in the sand, er, snow. I&apos;m also in love with the Northern Lights style. These pajamas are bright and colorful and totally fun! Plus, the bum flap says "Lighten Up" which is just too perfect. 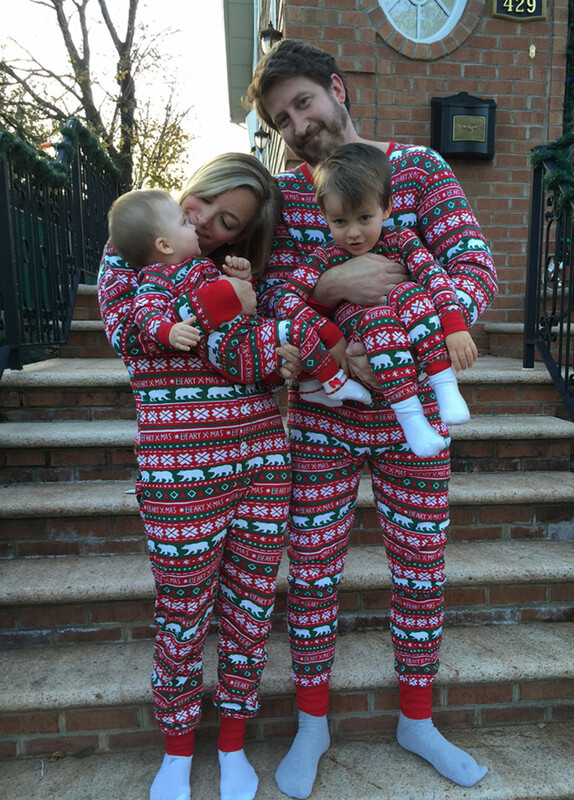 I think I might have to order these #quadrupling fam-jams as well! 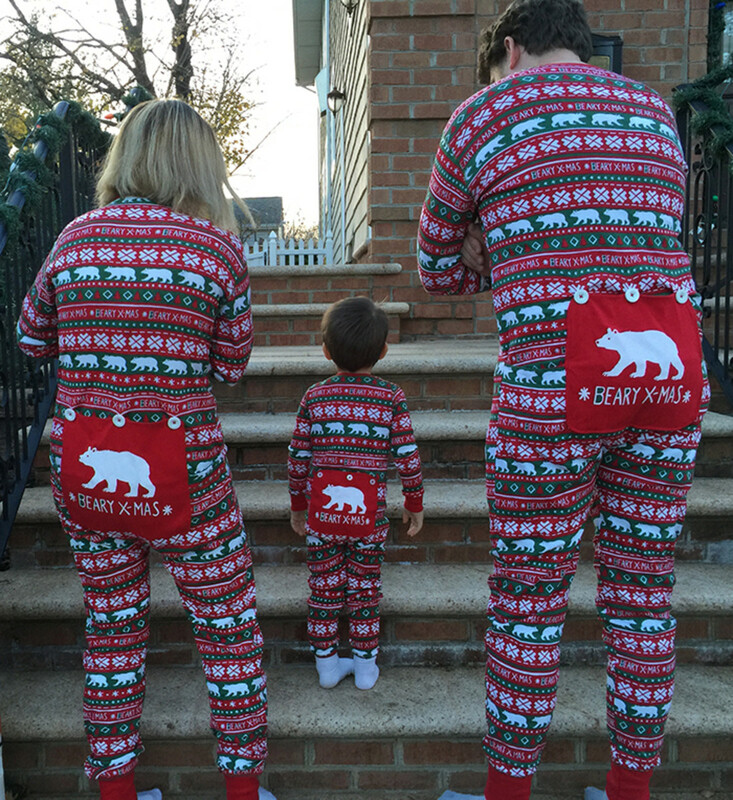 I better hurry up though—and you should too!—matching Xmas PJs sell out faster than you can say "drop seat." Don&apos;t worry, hon, I&apos;m on it... And this time, I&apos;ll get you the size up!